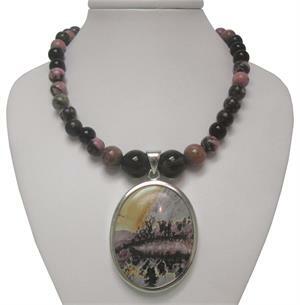 Item #DB-2935: 19" Multi-Stone bead necklace with 8mm & 10mm round Rhodonite, 8mm round Black Onyx & 12mm round Smoky Quartz beads with Nature's Paintbrush Jasper Sterling Silver pendant and Sterling Silver spring ring clasp. 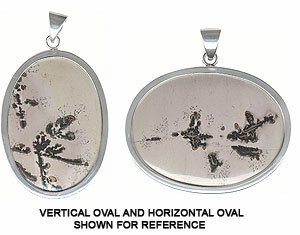 Sizes & shapes of pendants vary. 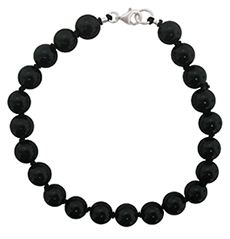 Item #IGM-BO-10-18-39: 18" long Necklace of 10mm round Black Onyx Beads; Sterling Silver hook clasp. 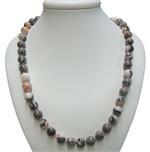 Item #IGM-BO-30-32: 30"-32" continuous necklace of 8mm round Black Onyx Beads with knots between beads. Item ##CJ-KBE-123003-BO: Sterling Silver Earrings with 8x10mm oval Black Onyx Cabs; Shepherd's hooks. Item #RCI-BO-48-3: Sterling Silver earrings with 4x6mm oval Black Onyx cabs and shepherd's hooks. 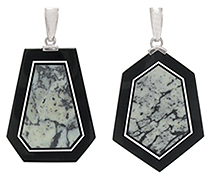 Item #QG-QP1293: 1 1/8" long Sterling Silver Polished Scroll Design Pendant with 22x24mm Double Sided Black Onyx trapezoid. Item #CJ-BO-PND-12: Sterling Silver Pendant with 8x10mm oval Black Onyx Cab. 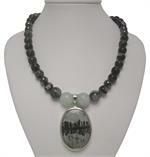 Item #CJ-KBP-789003-BO: Sterling Silver Pendant with 8x10mm oval Black Onyx Cab. 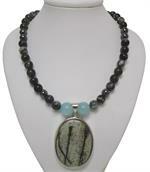 Item #MN-BWC-18: Sterling Silver Pendant with Black Onyx, Web Calcite & Pristine in various shapes. Item #SC-EPFC-0801-X1: Rhodium-plated Sterling Silver Earrings with two 4mm square Golden Citrine of .65 cts. TW & Black Onyx; Post backs. Item #SS-1728: Handcrafted Indiri Collection Sterling Silver Bali Ring with 9x18mm pear shape Smoky Quartz, size 7. Item #SS-1510: Handcrafted Indiri Collection Sterling Silver Earrings with two bezel set 8mm Checkerboard Faceted, cushion Smoky Quartz; Shepherd's hooks. Item #SS-1534: Handcrafted Indiri Collection Sterling Silver Earrings with two bezel set 9x11mm octagon Smoky Quartz; Kidney wires. Item #SS-1866: Handcrafted Indiri Collection Sterling Silver Lady's Ring with 8mm Checkerboard Faceted, cushion Smoky Quartz; Size 7. Item #SS-1535: Handcrafted Indiri Collection Sterling Silver Bali Pendant with Checkerboard Faceted 14mm cushion Smoky Quartz. Item #SS-1952: Indiri Collection Sterling Silver ring with 14mm checkerboard cushion Smoky Quartz. Item SS-1036: Sterling Silver Pendant with 7/8"-1 6/8" Rhodonite cab. Shapes and sizes vary. Item #JP-H3-R: Sterling Silver pendant with 18x25mm oval Rhodonite cab. Item #CJ-E05355S-SQ: Sterling Silver Earrings with two 8mm trillion Smoky Quartz and six round Colorless Topaz; Post backs. Item #SC-PTIM-1802-X1: Rhodium-plated Sterling Silver Pendant with checkerboard faceted 10mm round Smoky Quartz of 3.57 cts. and round Diamond of .01 cts. Item #SC-EGIM-1319-X1: Rhodium-plated Sterling Silver Hoop Earrings with detachable Drops with two 16x20mm Smoky Quartz Briolettes of 30.33 cts. TW; Top wires. Item #SC-EGIM-1268-X1: Rhodium-plated Sterling Silver Hoop Earrings with detachable Drops with two 16x20mm Smoky Quartz Briolettes of 29.53 cts. TW; Top wires. Item #SC-EGIM-1355-X1: Rhodium-plated Sterling Silver Hoop Earrings with detachable Drops with two 15x20mm Smoky Quartz Briolettes of 30.86 cts. TW; Top wires. Item #SC-EPFM-1333-X1: Rhodium-plated Sterling Silver Earrings with two each 6x8mm & 12x16mm cushion Smoky Quartz of 20.90 cts. TW; Post backs. Item #CH-DER-E239ST: Sterling Silver Earrings with two bezel set 6mm round Smoky Quartz. Post backs. Item #SC-PTFM-1345-X1: Rhodium-plated Sterling Silver Pendant with 12mm heart shape Smoky Quartz of 5.96 cts. (WEB #SS-1869) Rhodium-plated Sterling Silver and 14Kt. Yellow Gold Lady's Ring with two checkerboard faceted Smoky Quartz; Size 7. (WEB #SS-1770) Rhodium-plated Sterling Silver Lady's Ring with checkerboard faceted 12x16mm oval Smoky Quartz of 8.33 cts. ; Size 7. Item #TM-12-023-7: Sterling Silver Lady's Ring with bezel set 10x14mm oval Smoky Quartz of approx. 8.00 cts. ; Size 7. Item #CJ-R80228R-SQ: Sterling Silver Lady's Ring with 10x14mm octagon Smoky Quartz. Choose your size.